for individuals returning to the community from incarceration. 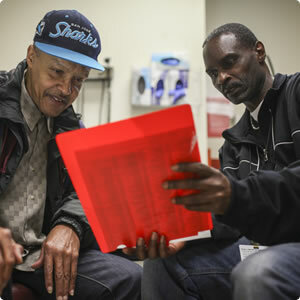 The Transitions Clinic Program serves the primary care needs of recently released prisoners and their families. 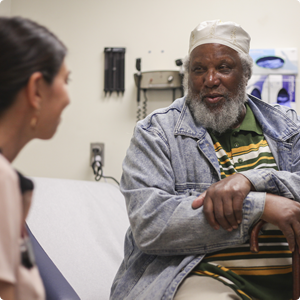 Each Transitions Clinic Program is staffed by a culturally-competent provider and a community health worker (CHW) with a history of incarceration, ensuring each patient’s most pressing issues are addressed. We take a broad view of health and wellness, caring for both the patients’ physical and behavioral health needs, and their social determinants of health. 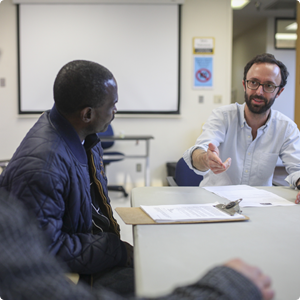 Each Transitions Clinic Program employs specially trained community health workers (CHWs) with a history of incarceration. As an integral member of the health care team, CHWs promote health equity and culturally competence in every patient encounter. The Transitions Clinic Network provides technical assistance and training to community clinics across the country, from California to New York. These clinics serve returning prisoners in neighborhoods most impacted by incarceration. Our network of clinics harness their communities’ expertise to define, implement, and evaluate best-practices for addressing health disparities related to incarceration.